HTML helper methods are used in Razor views to generate HTML markup in a strongly-typed, C-sharpy way. An example is @Html.LabelFor(m => m.Name), which is used in a strongly-typed view whose model has a Name property. This will generate a label element with the appropriate display name. 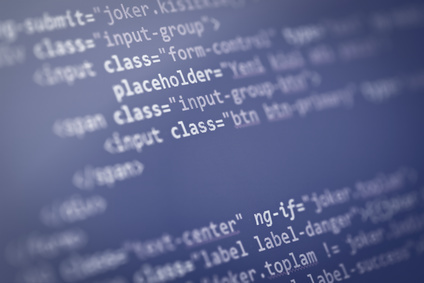 In this post we will learn how to create a custom HTML helper. As you can see, that is much cleaner and more readable. It's easy and straightforward to create such a helper. In a nutshell, we will just need to add an extension method to the HtmlHelper class and invoke the method in our Razor view. Remember that since we are building extension methods, the class has to be static. The method signature is typical of HTML helper methods that can be invoked in a strongly-typed view. It has a return type of MvcHtmlString and takes in a generic Expression which will allow us to pass in a lambda expression representing a model property (ie. x => x.Name). In the implementation of the method, we are creating a new object that has a @class property with a value of control-label. That is the same object we are currently creating in the view. We are then just calling the built-in LabelFor helper method, again in the same fashion that we were doing in the view. And that's it! The helper method is complete and we can begin to use it in our Razor views. Just make sure to include the appropriate using statement in the view or in the view folder's web.config file. In this post we saw how to create a simple HTML helper that reduces the amount of noisy, repetitive code in the view. This just scratches the surface of what we can do with HTML helpers though. Matt Honeycutt has an excellent Pluralsight course entitled Build Your Own Application Framework with ASP.NET MVC 5 where he does some very interesting things using helpers in the context of building an application framework. TwitterBootstrapMVC is another project that provides a collection of Twitter Bootstrap HTML helpers.